All trackmaps on this site were made by private an are no official dokuments. The plans are developed primarily on the basis of own observations, aerial photographs and other pictures and can, therefore, despite all care still single errors. I am therefore grateful for any information on any errors. Contact information is available on the respective plan page. Düsseldorf: The reconstructed stop Lierenfeld Betriebshof was inaugurated today. Munich [Tram]: Reconstruction of Romanplatz added. 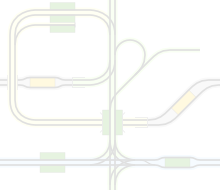 Vienna [tram]: New loop at Geiereckstraße planned, loop Schottenring reconstructed. 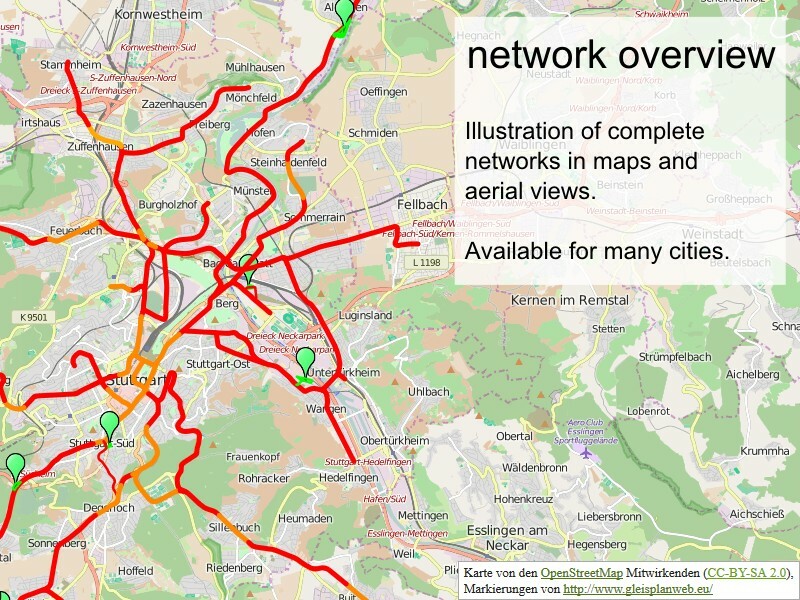 Freiburg: New line via Rotteckring inaugurated. Amsterdam [Metro & tramway]: Line to Amstelveen closed for the convertion from Metro to tramway. Göteborg: The under construction depot Reingön added and the operation times revised. Norrköping: Trackmap completely revised an operation times added. Bielefeld: Begin of construction works for the high level platforms at Marktstraße and Krankenhaus Mitte. Valencia: Trackmap completely revised and updated. Alicante: The Serra-Grossa-Tunnel was inaugurated in December, the old single track route along the coast is closed. minor changes are not listed here. 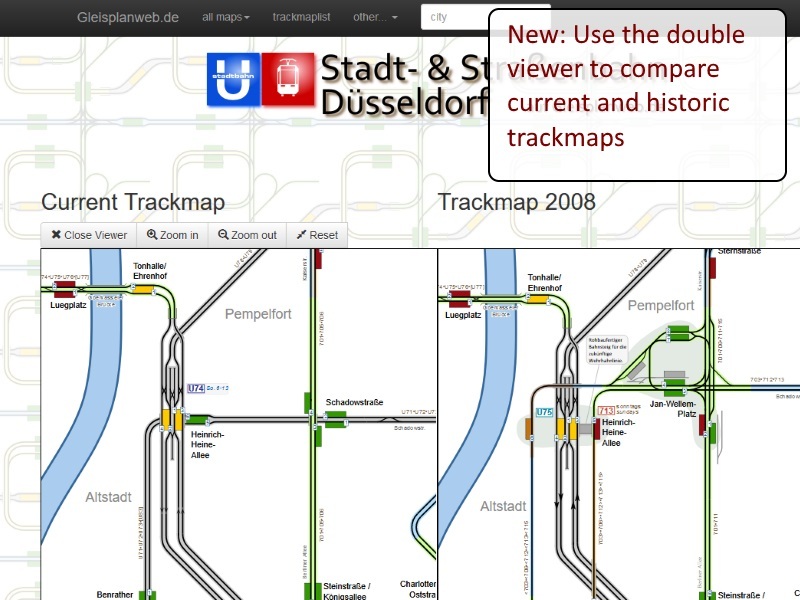 An extensive linklist to trackmaps of tramways, lightrails and metros allover the world. 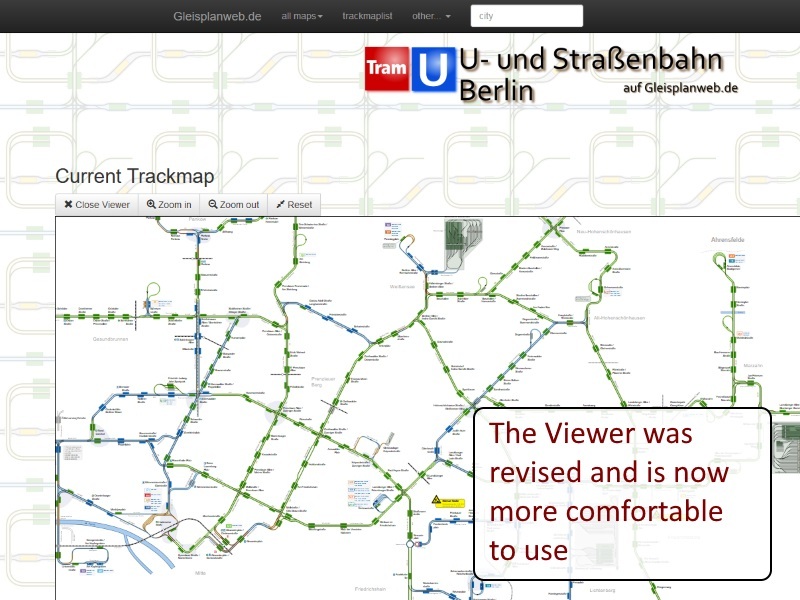 All trackmaps on this site were made with Inkscape.